Subscribe to comments with RSS or TrackBack to 'Rule 5 Addition analysis/predictions for 2018'. If I’m an opposition GM looking at the Nats’ list, I would take a pass even if they don’t protect anyone. I see only two with an outside possibility to stay on an MLB roster a whole season: Istler and Davidson, who I think can hit enough and play enough positions to be the 25th guy at the end of the bench. He’s a better hitter than the two utility stiffs the Nats have on the 40-man now, Sanchez and Matt Reynolds, but he’s not nearly as good defensively. I would be very surprised if the Nats protect Davidson, though. Istler and Mills are both 26, and Bourque is 25. None of them are starters. There are A LOT of guys with similar profiles in the Rule 5 pool every year. I wouldn’t be surprised if the Nats add any of these three, particularly Istler, but I don’t think it’s necessary. Baez is probably the only starter under consideration. I wouldn’t do it, but they might. I really can’t see an opposing team keeping him on an MLB roster, though. I like some of the others here, including Agustin and Fuentes, but they’re at no risk of losing them. If I’m predicting, I would say just Istler. They’ve got so many other needs to fill that they’re going to need the 40-man flexibility. I think a team could take Istler and stick him as 7th or 8th guy in a bullpen easily. Same with Bourque but they’d have to be a lesser team. Mills as a lefty AND having just cleaned up in AFL is even more in jeopardy. I was also thinking along these lines: who among these names not only might get plucked, but are in positions of need. And its all about bullpen arms. I mean really; who would you rather gamble on in 2019 Adams, Gott or Isler/Bourque. Would you pay Solis 900k or give Mills a shot? There’s no way Mills is ready to be in the MLB ‘pen of a contender. He only has 19 innings at AA. He’s certainly needed depth in the minors, though, as the Nats have very, very few port-siders in the upper minors. Tim Collins probably won’t be back, and who knows if they’ll re-sign Bryan Harper if/when his little bro skips town. With Solis, I’m going to make the seemingly contradictory statement that I think they’ll tender him but that I wouldn’t be surprised if he isn’t on the roster by opening day. I think he’s sort of their insurance policy in case they can’t add another decent lefty reliever, and they can probably get a bag of balls in return for him if they do. I’m curious to see if they go after a higher-end lefty along the Miller or Britton lines, or at least someone like Sipp. There isn’t a great mid-tier of FA lefty relievers, though, unless you consider Sipp the middle tier. He’s made $6M the last three years and likely will be wanting at least that much. Kurt Suzuki!!! Not great, not bad. Certainly more durable than Ramos. Very good for the Nats to strike early and get the best option from the second tier. However, much like Ramos, Suzuki is still basically just a half-year player. I’m not thrilled with the thought of S. Kieboom being in the lineup for 70-80 games. Suzuki is fine. Uninspiring but acceptable, given the cost of a clear quality upgrade. Sevy’s OPS was .501. Kieboom’s was .642. We’ve seen the last we’re going to see of Sevy, unless he gets DFA’d and goes unclaimed. He’s out of options, and he’s not going to be on the big club. Also, Read is definitely ahead of Gushue in the pecking order. I would think Read and Gushue will be in Fresno, and they’ll hope Barrera can hit a little at AA. As noted, I’m not thrilled with S. Kieboom as the backup, but he’s got a chance to hit a little, and his defense looked pretty decent. Considering how bad the catcher outlook is universally, a backup who can stay above the Mendoza Line is serviceable. The key to how “good” a deal the Suzuki signing turns out to be will involve how well they invest the money saved elsewhere. I don’t see them going after a front-line hitter, particularly if they’re not getting Grandal, but they now have the flexibility to go after two upper-tier starters (if they offload Roark’s projected $9.8M). Best thing about the Suzuki deal is that they aren’t trading Robles or Kieboom for Realmuto. Agree on Sevy, he’s done here. Doesn’t seem like the staff likes throwing to him. Rizzo is active early. I like it. Worse case is he overpays a bit which I can live with. On the other hand, they get the guy they want. I’d look for the 2B/OF guy next. This is the way they can get Murphy back @2/$16m. I’d like that and defensive positioning should minimize his 2B problems a little. I’d like that bat hitting 5th or 6th. But pitching, pitching, pitching. I think that’s going to be a slower moving market though. Paxton to Yanks for massive return. Nats never would have played at that prospect level. Are the Yanks now out of the market for a big-ticket starter? OK, OK, the Yanks are NEVER out of the market, but perhaps they’re only looking at one instead of two or three. Wally, the more I think about it, the more I’m in the tank for a Murph return. He may be the best bang-for-buck hitter in this FA class, at least over the next couple of seasons. Don’t know how he would feel being brought back as Zim’s heir, but he can be the bridge at 2B now and a beloved enough presence to ease a transition from Zim later. Some quick math. Both Todd and Ghost had the Nats with around $51-52M to spend to stay under the tax line. Scuttlebutt is that they only want to spend around $40M, both for some in-season flexibility and because of incentives, particularly for Rosey. Anyway, starting with that number, jettison Roark and Solis to add $11M, now -$5M AAV for Suzuki — using those numbers and the MLBTR estimates, they could sign Murphy ($9M), Andrew Miller ($9M), and have $28 left, most of which could be spread across two starting pitchers. Or they could keep Roark and have around $19M for one starter. The bottom line is that they’ve got enough bucks to do some interesting things. I really like that they’re getting busy early. It also should be noted that none of their deals thus far have completely closed the door on a Bryce return. Until they sign someone at the $15M level, that door is open. Here’s how Bryce math would work — exit Roark and Eaton, maybe have to keep Solis as bullpen LHP. Sign Matt Adams for $4M and have around $17M to divide between two starting pitchers. As deep as the starter market is, there are a number of pretty decent guys who could be had at the $8-9M level. Anyway, my point is that there are value guys out there. The Nats just have to find the right ones. Agree on the value, but the thing is, if you go that route you probably need an extra one to cover for the higher risk. For Bryce, it’s all about how much. At > $300m, I’m out. No player is worth that, especially for a mature team with a lot of guys to pay. I agree they have money to do something but they need one of the better starters before they go for the value guys. It’s crazy to get rid of Solis. He’ll get paid peanuts and if they let him go, it’s guaranteed he’ll go somewhere and become a valuable guy. I have always been a fan of Solis’s stuff. I’ve always thought it was far better than Grace’s. But Solis’s numbers last year were really ugly no matter how your slice it. Yes, Martinez overused him, and yes, he was very good in May and June. But it’s really hard to plan around hoping for his comeback, all the more so when he’s a lefty who LHB hit .329 against. I think they’re going to sign another LHP. That will give them three with Doo and Grace. I think Solis is going to be the odd man out. I agree with everything you’ve said, but he’ll make $900k – barely more than the minimum. I’d be surprised (and think it foolish) if they didn’t bring back a lefty with a past history of getting out quality hitters at the major league level. They could cut him towards the end of camp and it costs what, $200k? I think you’re right that he doesn’t seem favored and maybe they do cut him, but I just think it’s foolish if they do. Paxton – I think the Yanks got a good deal here. Health is so fluid, but he is a high quality guy. Sheffield is not a slam dunk guy. It all comes down to this guy Swanson. If he is serviceable at the back end, then it’s a good deal. Otherwise they may have missed an opportunity. Swanson is a great example of what the Yanks have done really well with their farm – they seem to have an abundance of relatively no name pitchers (when prospects) that aren’t highly thought of, yet come up and they plug and play them in the rotation. Jordan Montgomery, Loasinga etc. dodgers seem to do this as well. I wish Rizzo did a better job of that. He does seem to be doing that with relievers, which has been good, but our SP prospects are few and highly touted, like Fedde. I’d much prefer less hyped but more of them. I wonder if it’s time to poach a couple of guys from them or LAD’s development staff, especially pitchers. In general, i’d Say Rizzo has been pretty good at hitting on the occasional star prospect but depth could be better. Although all in, despite the criticisms we’ve given him, I give him credit for developing some options while picking so low Year after year and also having int’l spending restrictions. It’s just a boom or bust approach that makes me nervous. Bourque seemed like a no brainer. No Mills despite Solis’ possible non-tender and his appearance/success in AFL. I wonder if pro scouts are looking at his size and not bothering. Good for us if he slips through. Also no go on Istler, sort of surprising maybe. Will the Dodgers pluck their guy back and essentially have gotten Madsen for free? The Nats saving Bourque over Istler relates directly to what I was thinking in response to Wally’s last comment. The Rizzo-era Nats are infatuated with burly hard throwers who really fill out a uniform. Here, they kept 6-4 and barely at AA over 5-11 and barely at AAA. They’ve also drafted this way, every year, and wondered why the hard throwers who weren’t particularly good in college (Johansen, Mooneyham) have continued to not be particularly good in the pros. In trades, offer them a Henry Rodriguez, Austin Adams, Enny Romero, or Jimmy Cordero and they’ll clear 40-man space for them. And goodness, we sure better draft Seth Romero to show that we’re smarter than everyone else. Anyway, unless you count the brief starting period of Detwiler, the last Nats-drafted starter to stick in the Nats’ rotation was Strasburg. On the flip side, when they actually hit on a non-98+ guy in Voth, they didn’t know what to do with him and basically have let him wither on the vine. Until his struggles over the last couple of seasons, his numbers at nearly every level were better than Fedde’s, and way better than Giolito’s. There have been a few signs of change on the horizon as they’ve drafted a few guys who aren’t 6-4 earlier in the last couple of drafts, including Tim Cate, Brigham Hill, and Kyle Johnston. We’ll see how it works out for them. I thought Bourque was a good add, and I might have also thrown in Guilbeau and Istler. relievers are the ones to protect here. And about Istler/Gott etc, in fairness to Rizzo, there aren’t a ton of small, successful pitchers so he is partly playing the odds. but otherwise I thought KW had it exactly right, that Rizzo wants big time stuff from his pitchers and doesn’t value command, figuring they can teach it I guess (except they rarely have taught it). It just creates this boom/bust cycle that hurts organizational depth, plus we really don’t know the upside of these command types. Voth isn’t the best example, because he just wasn’t that good and time showed that. But to give an example of their boom/bust approach, here is an article from Fangraphs ranking farm systems by $$. The Nats finish in the late teens, which feels about right. But look how dependent it is on Robles and Kieboom. Without those guys, they are last. That isn’t entirely fair because I didn’t go through and take out everyone else’s top 2, but you get my point. The Nats have always depended on having a superstar or two in their system. 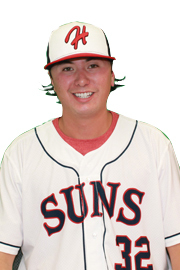 Voth had a 3.15 ERA in a full season at AAA at age 24 in 2016. He succeeded at every level. Not sure what happened to him in 2017, but there were reports that his velocity really tanked. One could surmise that the Nats over-pitched him by sending him to the AFL at the end of ’16 after 157 IP at AAA that year. Anyway, I don’t think the level caught up to him, but it’s possible that it did. Completely agree that the Nats’ system has ridden on just a few “stars” for a long time. They haven’t had a solid second tier of good prospective bench guys. In fact, they’ve had a hard time finding many guys who can hit at AA or AAA. The almighty pursuit of velo leads kids to learn bad pitching habits early. Oftentimes, they work so much on throwing hard that they overthrow pitches and lose any natural movement on them. Yeah, you can blow away that 5-8 HS sophomore with your straight heater, but when you get to the pros and throw it to a 21-year-old draftee who was all-conference at a D-1 school, you often don’t get the same results. A couple of interesting utility guys have hit the waiver wire, Derek Dietrich and Cory Spangenberg. Both are LH bats with a fair amount of defensive versatility. Neither is SS-capable, though, so neither could replace Difo. But I could see the Nats going for someone like this with more versatility instead of another Adams or Lind. Sorry for the typos, let me try again. I thought the same thing about Dietrich. I am not as familiar with Spangenberg. Wasn’t there bad blood between Dietrich and the nats? I vaguely remember something. And to be clear, Dietrich is not very good at any defensive position, but he does play the outfield. Does Spangenberg? Yeah, I think there was some dust-up with Dietrich, now that you mention it. Probably water under the bridge, though. These types of guys wouldn’t be my ideal, but if they’re looking to save money at the fringes, these two are probably a cut above most similarly priced utility guys. If the money works, I’d love to have Murph back. Difo is a borderline liability at the plate, but they’ve got to have someone SS-capable, and he’s cheap. There also seems to be a fair amount of scuttlebutt on the ‘net about the Yanks looking at Murph for 1B. Not sure why they wouldn’t put Stanton there, though, since he could stretch halfway across in the infield. Bah, that’s a weak article about Murphy. They don’t even get into his first and second half splits, which tells his injury story. Defense and base running, sure he’s bad. But I’m not buying him done as a hitter. I see that they’ve been debating some of this at NatsTalk. A little love for Murph, a fair amount of concern. I think Murph is going to be an outstanding hitter for another couple of years. We all know his days at 2B are numbered, but I think they can trade off platooning him at 2B with Kendrick and 1B with Zim. Does Murph want to come back here? He seemed to have parted on good terms. I also think the money level is an issue, particularly if the Yanks get involved. He may be a good value at $9-10M/per but perhaps not if the bidding gets up to $12M+. Of course who knows whether he has any interest in going back to the lunacy of playing in NY. One would think that Murphy would prefer to go to a spot where he can play full time, although maybe there would be some appeal for him to cutting back to ~500 ABs. We’ll see. Who knows whether Rizzo is even interested in bringing him back. Maybe they would prefer Adams since he would cost half and at least be able to pretend to stand in LF. I would think Adams would be very interested in coming back, as he seemed to thrive with Kevin Long, then fell apart back in STL. Yeah, same. I’m a buyer at less than $10m per, pass above that. By all accounts, he liked it here and was grateful to Rizzo. He also seems to dance to a different beat, so I wouldn’t be surprised if he came back for less $$. I like Adams too – I mean, he was incredible while here. He can’t even fake 2B though, so I’d probably go with dietrich next though. Just read on MLBTR that Kikuchi has retained Boras as his agent. Maybe the Nats will have a chance to get in the door there after all. Honestly, if you can get around the part that the Nats haven’t done anything at all in getting players out of Asia, he would make a lot of sense. We don’t need to pay the #1-2 price of Corbin, plus the QO penalty. We need an affordable lefty to sit at #3-4 in the rotation. He’s more affordable than Happ, and considerably younger. Anyway, I hadn’t spent much time thinking about Kikucki because I didn’t think the Nats would have a chance at him, but maybe now they do. Are you sure he’s more affordable than Happ? I’d doubt it when including the posting fee, and maybe not even the underlying contract. Anyway, I’d be surprised if they are real players, even with Boras. I know nothing about how posting fees work, whether they count toward the luxury tax or international money, etc. If it’s money that’s outside of luxury tax consideration, then I don’t think the Nats would have a problem. They’re not as concerned about spending money as they are with staying under the tax line. MLBTR estimates Kikucki at $7M per; Fangraphs has him at $10M per. With Happ, it’s $16M (MLBTR) and $14M (FG). The Yanks would seem to have enough LH starters so probably aren’t going to be in the market of trying to keep Happ. Wikipedia page on posting fees seems to indicate they do not count against luxury tax. For what that’s worth. It’s arb/non-tender week. Any chance to buy out the arb years and extend for Rendon and Turner? Probably not, but interesting to contemplate. Commentors on NatsTalk are wanting to offer Roark a contract worth less than what he made in 2018 ($6.475M). That’s not going to happen. Any offer to him would have to start around $7.5M, or 2/15 for the incentive of extension. That’s closer to what he’s worth than the projected $9.8M. To put it bluntly, with so many decent-or-better starters on the FA market, Roark isn’t worth $10M. In fact, you might have a number of options at closer to $7.5M, like Cahill, Anderson, Miley, D. Holland, Hellickson, Buchholz, and possibly even Harvey and Lynn. So . . . I don’t know. I would be surprised if the Nats just turn Roark out on the street, but that might be the savviest roster-construction move they could make. My guess would be that they’ll try to cut a deal with him. We’ll see. I’ve been hoping on Rendon’s extension, but I think turner is a year early. IIRC, an extension for him will boost his lux tax calc to the average of the extension, even if it doesn’t kick in until next year, which is difficult for the Nats to do this year. On Roark, they can always tender him now and cut him later, and only pay 1/6 of his salary. Not great but it buys them time. I hope the offseason starts to pick up soon. McCann, meanwhile, is somewhat of a desperation move after losing Suzuki. McCann was awful last year. Yeah, but for $2m, I’d have taken that risk for a bounce back. It a fan of the Donaldson signing for ATL (or i’m Glad they did it). The Donaldson and McCann signings are sort of like Dan Snyder moves from a decade or so ago. McCann is running on fumes and is a serious downgrade from Suzuki any way you slice it. There were several better options on the market, including ATL-connected Wieters (Ga Tech). The market for Donaldson was said to be $18-20M, so they overpaid and perhaps were bidding against themselves, at least in that price range. If he stays healthy — big “if” — he’s a nice addition to their batting order. However, he’s an obvious downgrade over Camargo defensively. More significantly, Donaldson fills a “need” that didn’t exist. They would have been much better off spending the $23M on PITCHING. They got a remarkable pitching run of luck and career performances in 2018, but they’re deluding themselves if they think they’ll get a repeat performance. It’s a huge gamble if they don’t significantly upgrade their rotation and ‘pen to support their good young lineup.